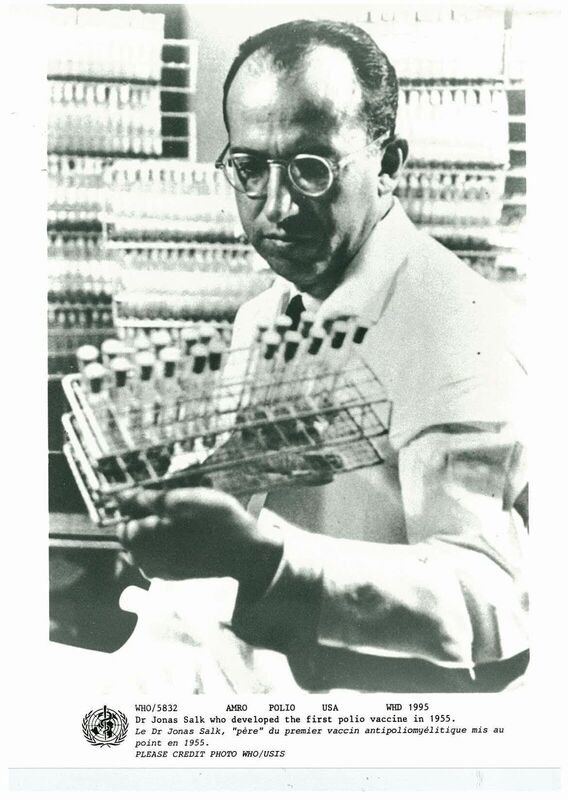 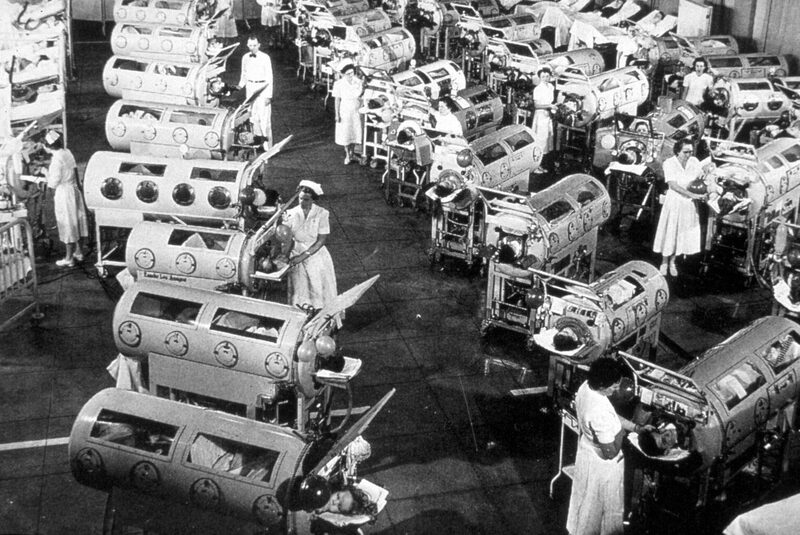 In Germany, Dr Jacob von Heine conducts the first systemcatic investigation of polio and develops the theory that the disease may be contagious. 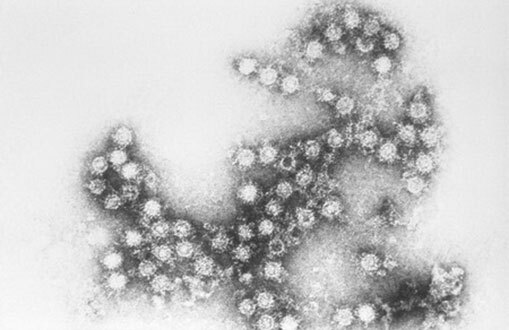 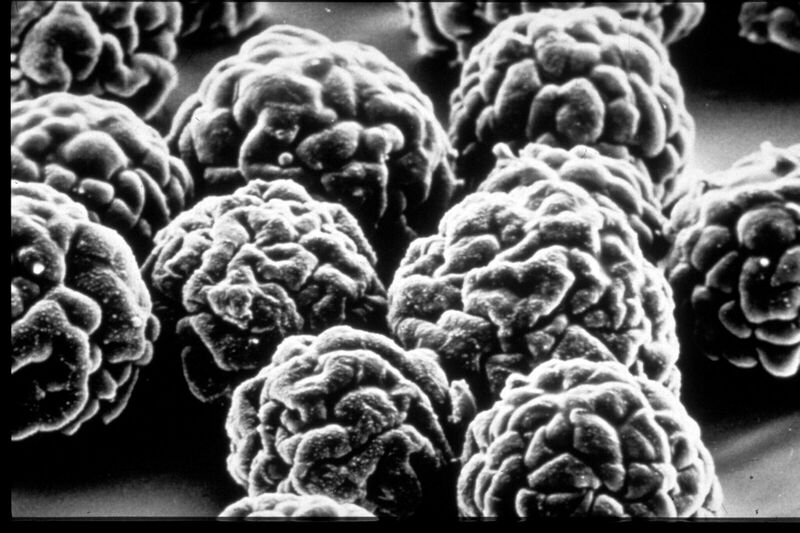 Thomas Weller and Frederick Robbins successfully grow live polio virus in live cells. 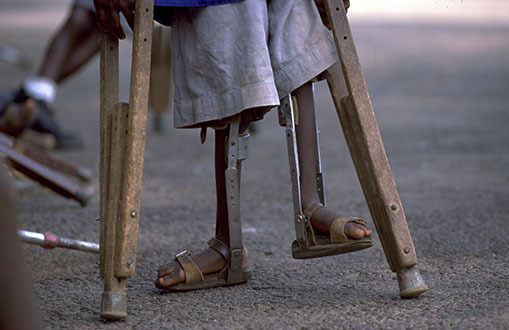 Six years later they receive the Nobel Prize for their work. 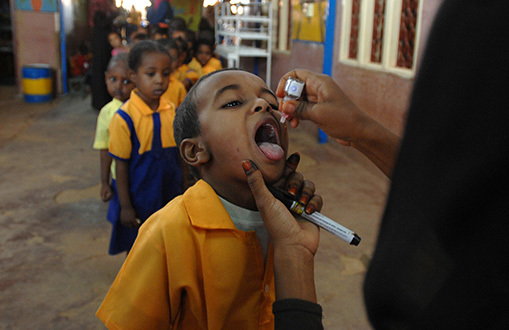 The Global Polio Laboratory Network is formally established to detect the presence of wild and vaccine-derived polio viruses in countries. 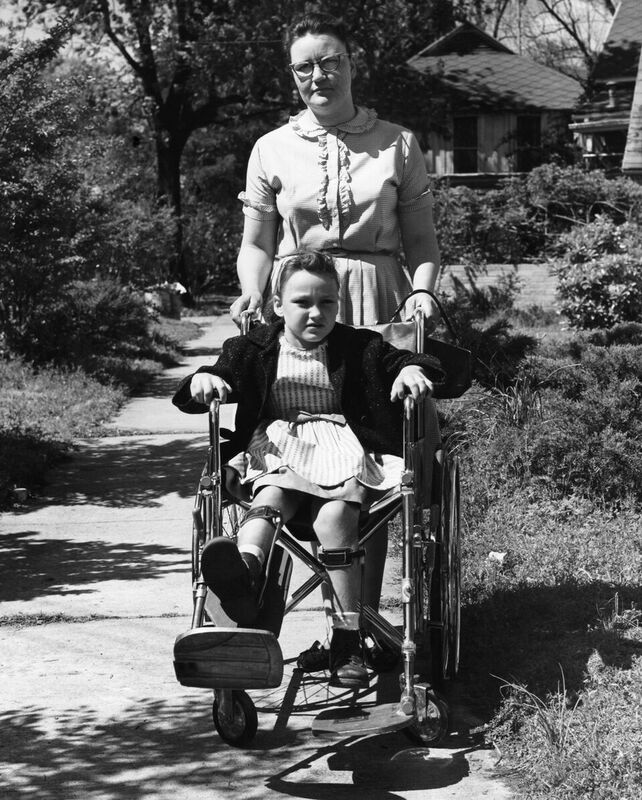 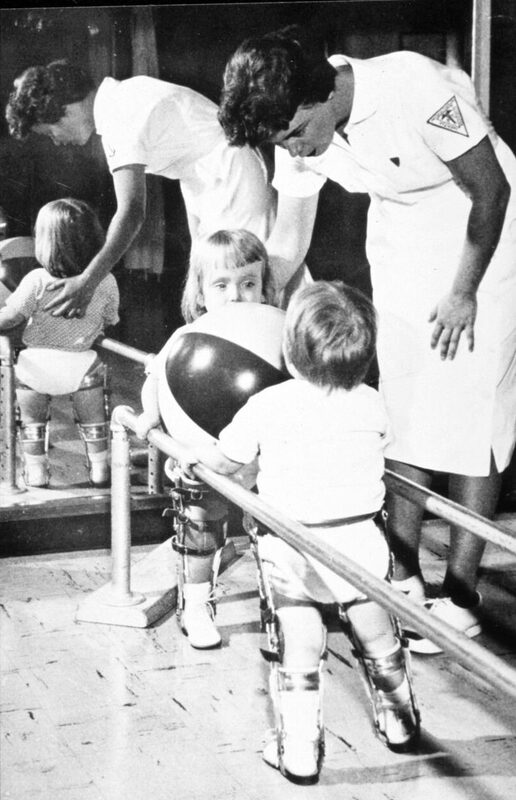 The last case of wild polio occurs in the WHO region of the Americas. 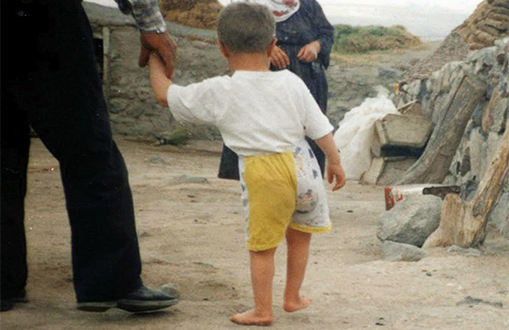 He is a three year old boy called Luis Fermin Tenorio living in Junin, Northern Peru. 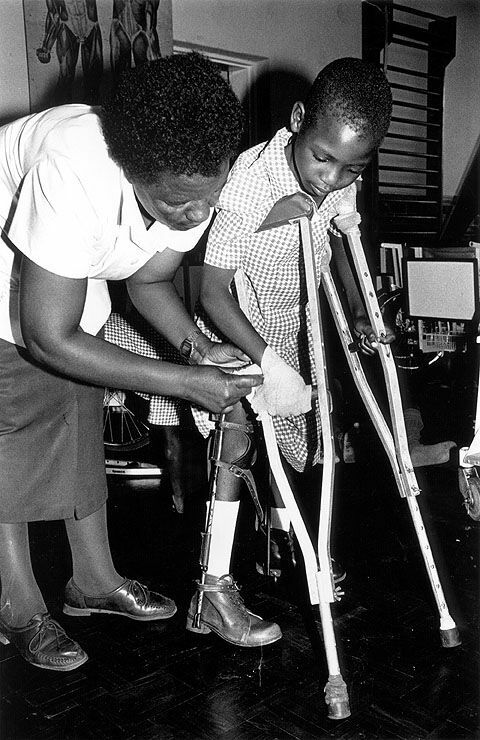 Nelson Mandela officially launches the Kick Polio Out ofAfrica Campaign and 420 million African children vaccinated during National Immunization Days. 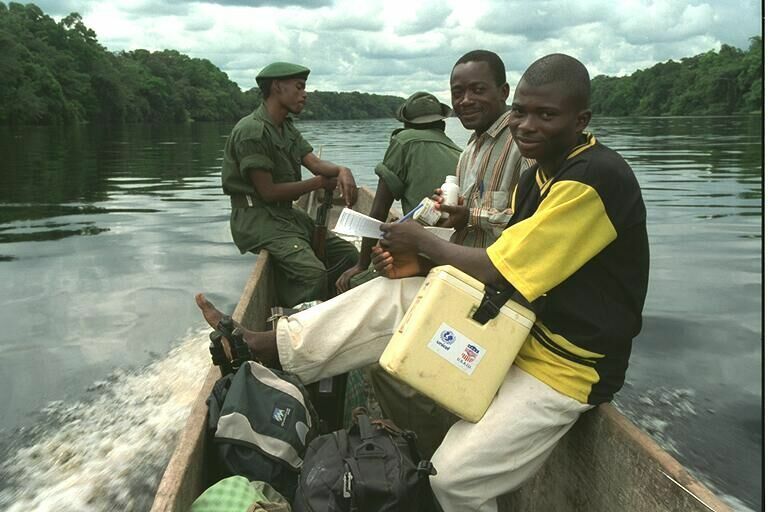 The UN Secretary General agrees to negotiate truces for immunization in the Democratic Republic of Congo. 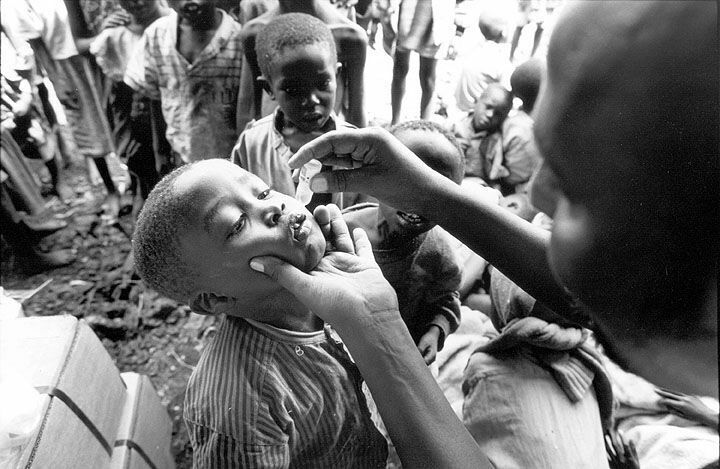 National Immunization Days are conducted in war torn Liberia. 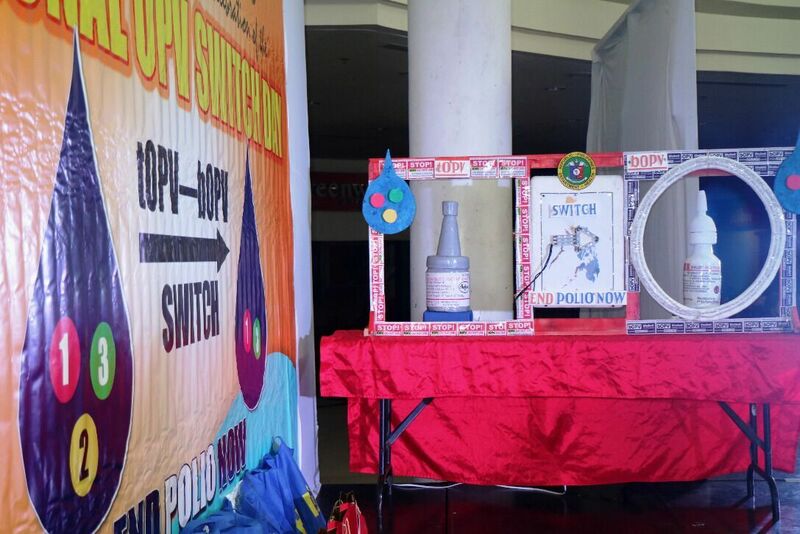 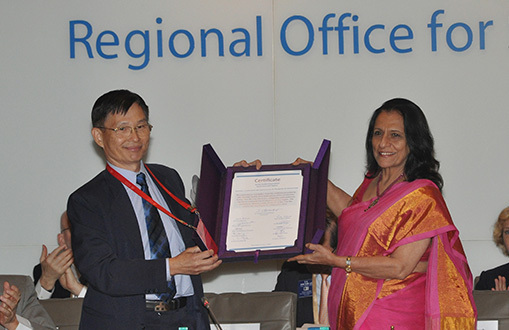 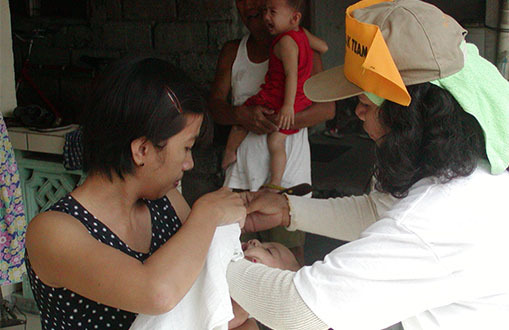 The WHO Western Pacific Region is certified polio free. 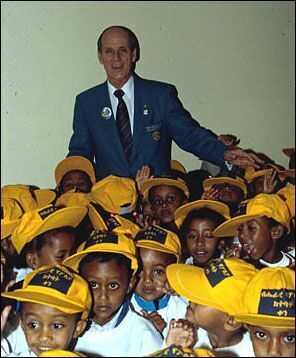 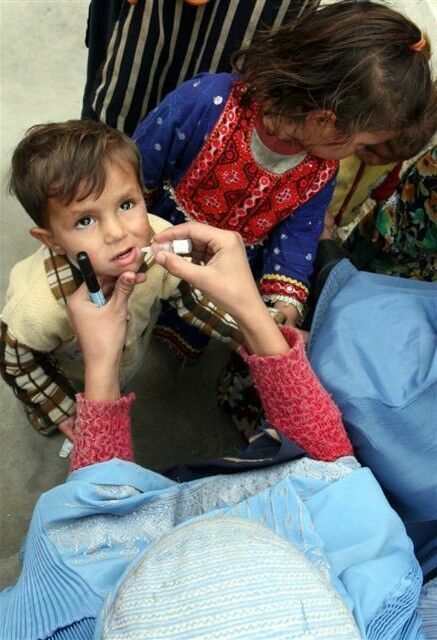 A record 550 million children –almost one-tenth of the world’ s population –receive the oral polio vaccine. 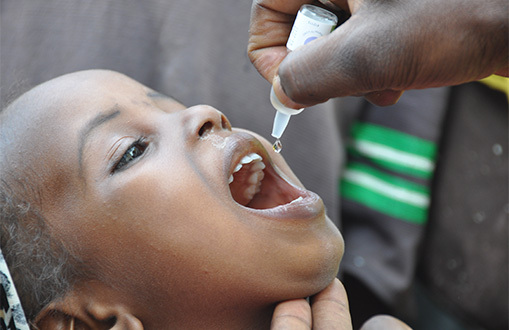 575 million children are vaccinated in 94 countries, including 35 million in Afghanistan and Pakistan, and 16 million in conflict-affected countries in central Africa. 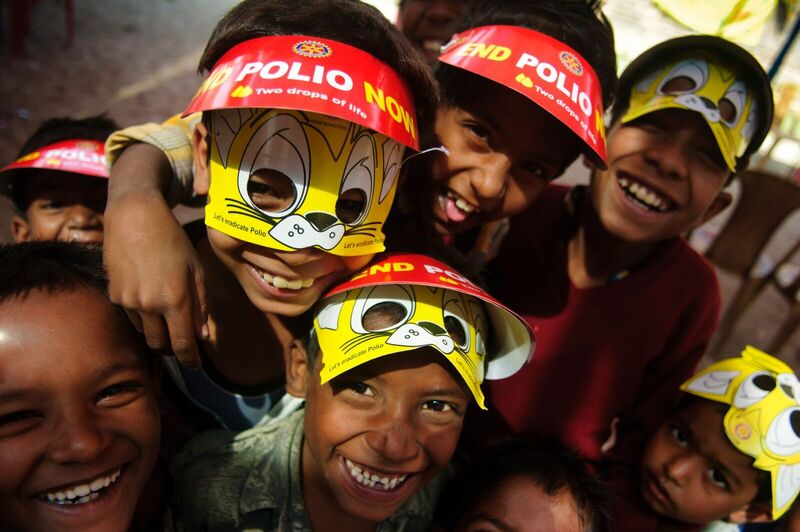 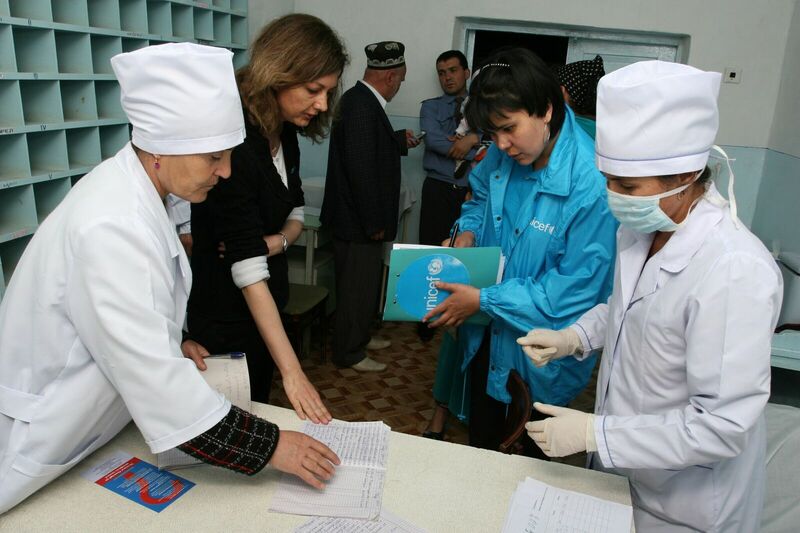 The WHO European region is certified polio-free. 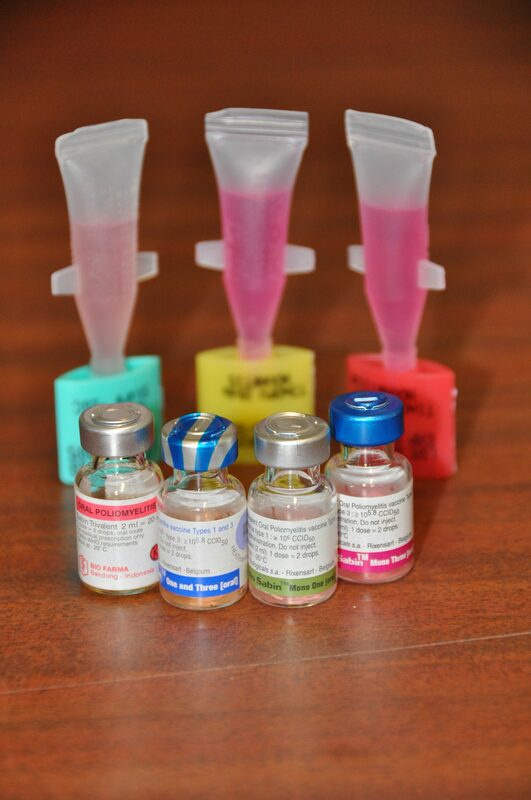 500 million children are vaccinated in 100 countries. 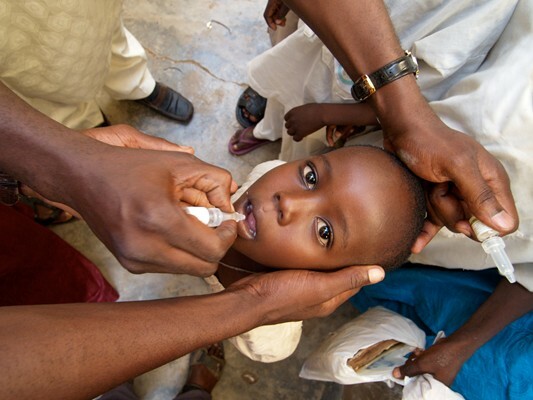 In Northern Nigeria, polio immunization campaigns are suspended following unfounded rumours regarding the safety of the polio vaccine. 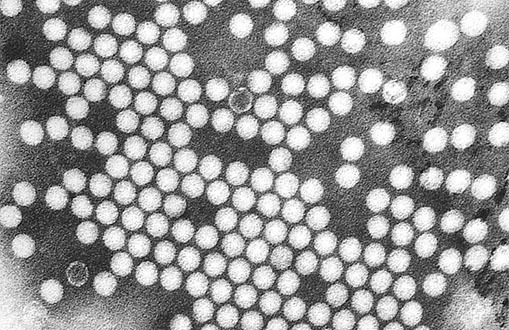 Subsequently a new outbreak occurs. 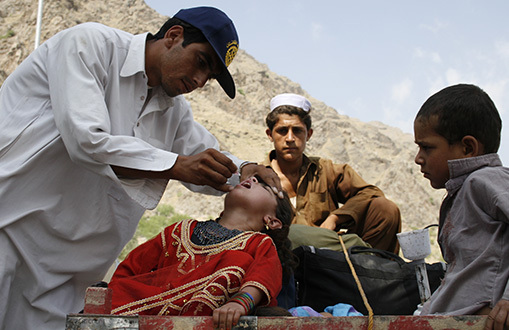 Four endemic countries remain: Afghanistan, India, Nigeria and Pakistan. 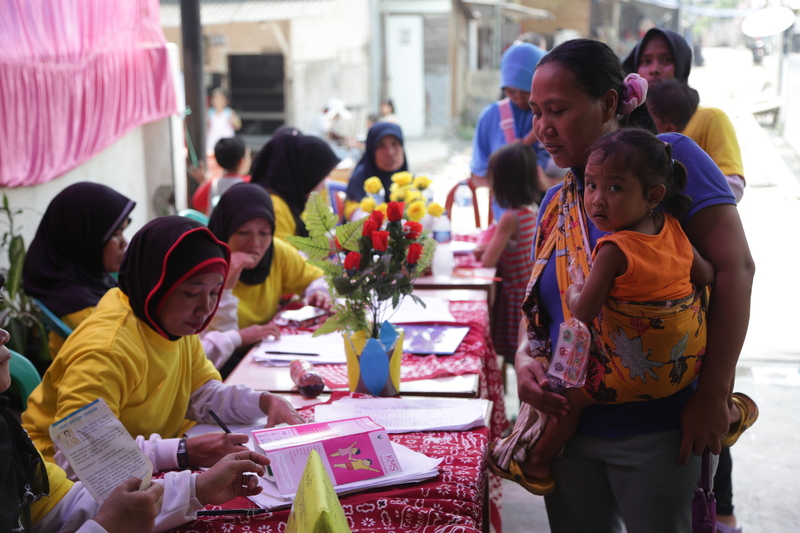 Outbreaks in Yemen and Indonesia–which suffer the largest, single-country outbreaks in recent years –are successfully stopped. 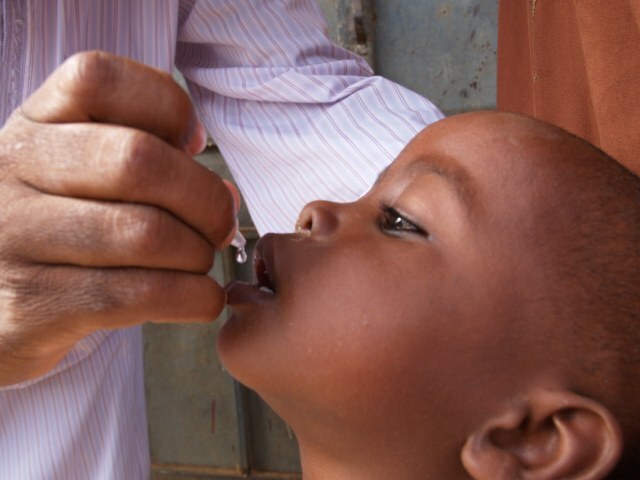 A new outbreak of polio spreads from Nigeria to West Africa. 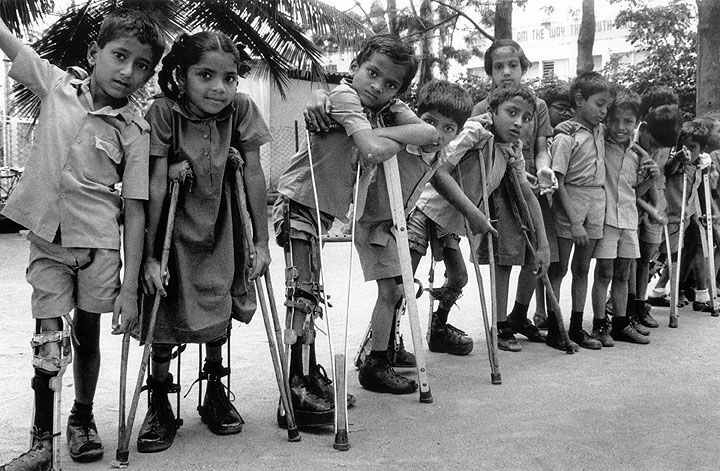 Polio eradication becomes the World Health Organization’s "top operational priority"
It took somewhat longer for polio to be recognized as a major problem in developing countries. 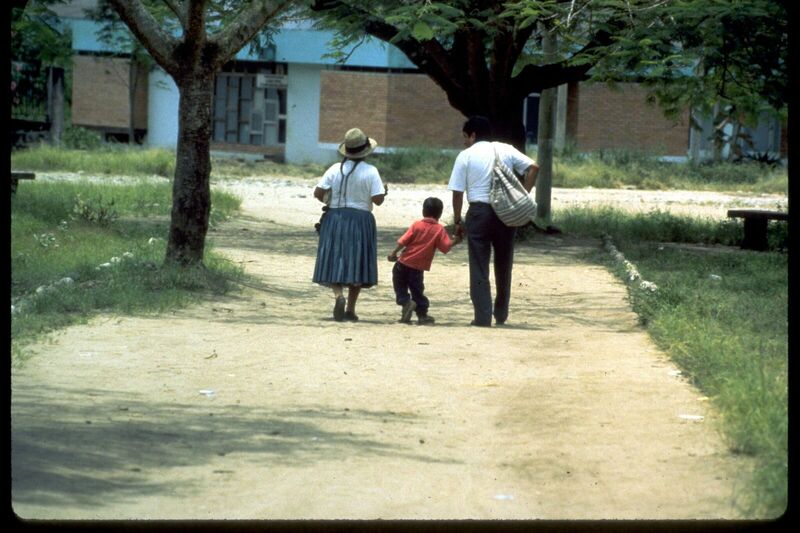 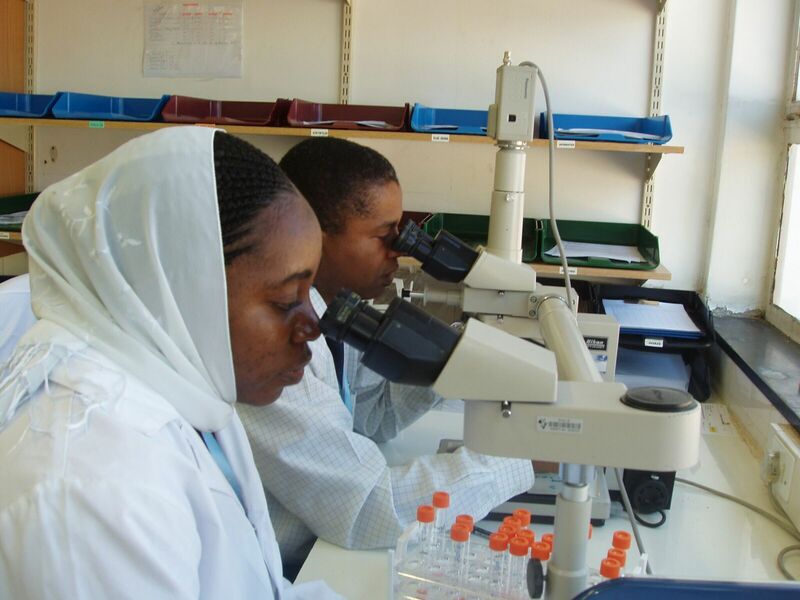 Lameness surveys during the 1970s revealed that the disease was also prevalent in developing countries. 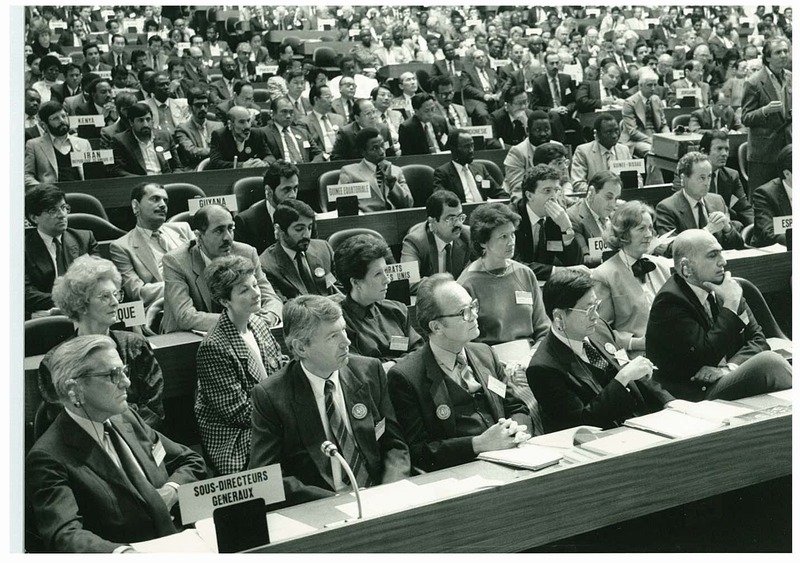 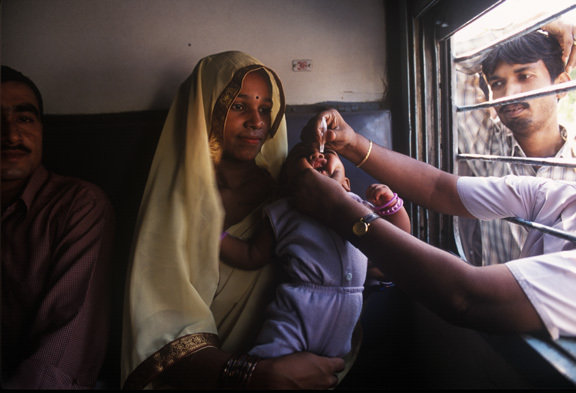 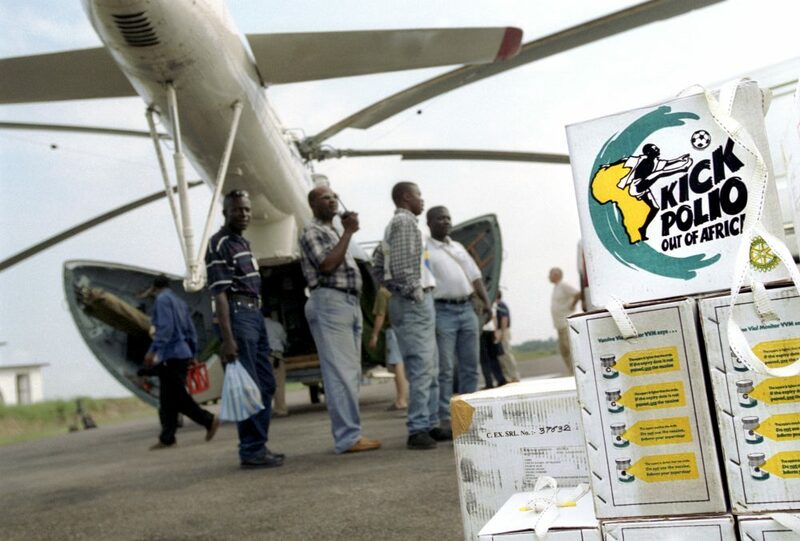 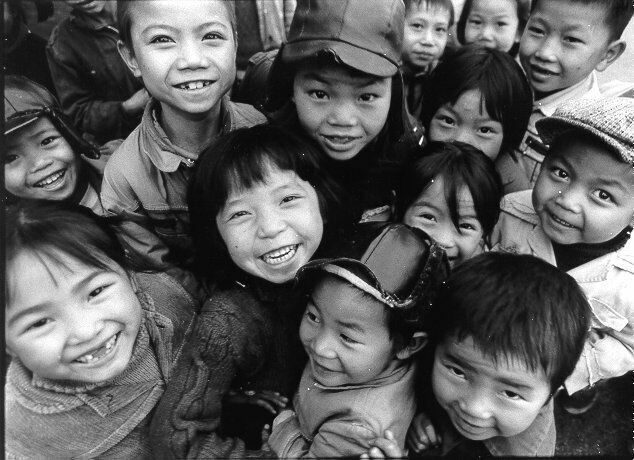 As a result, during the 1970s routine immunization was introduced worldwide as part of national immunization programmes, helping to control the disease in many developing countries. 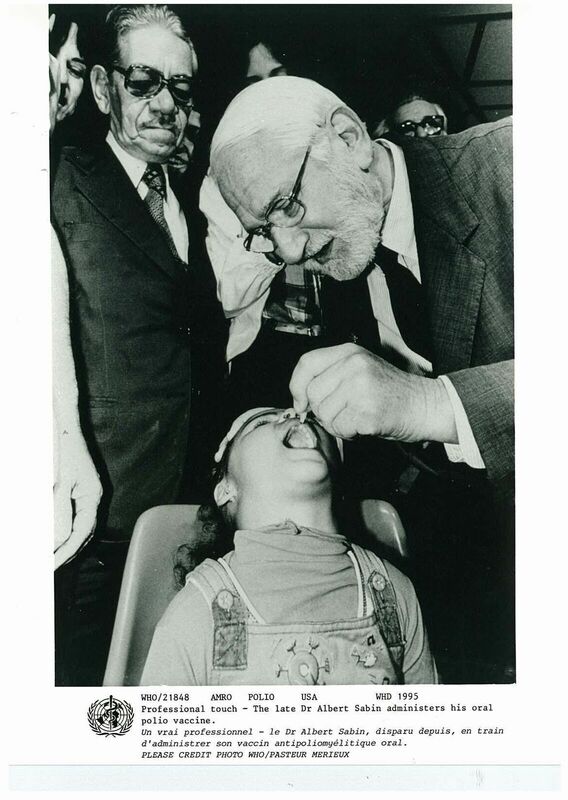 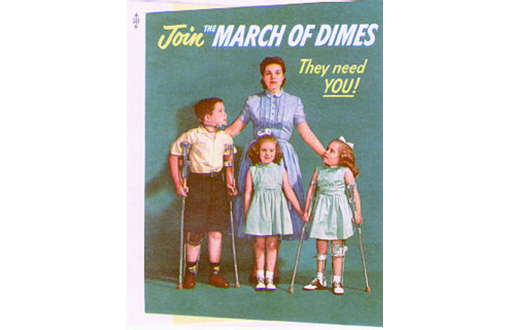 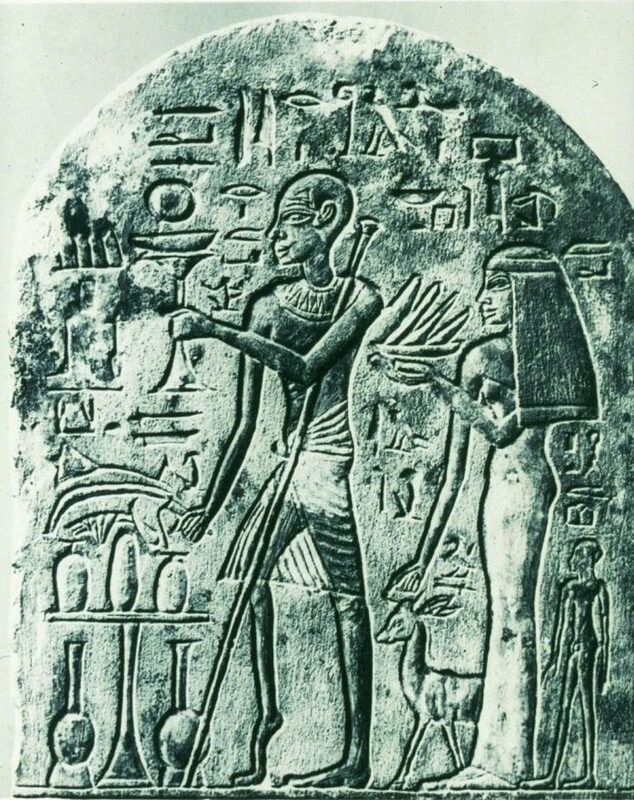 Use this interactive timeline to trace the history of polio from 1580 B.C. 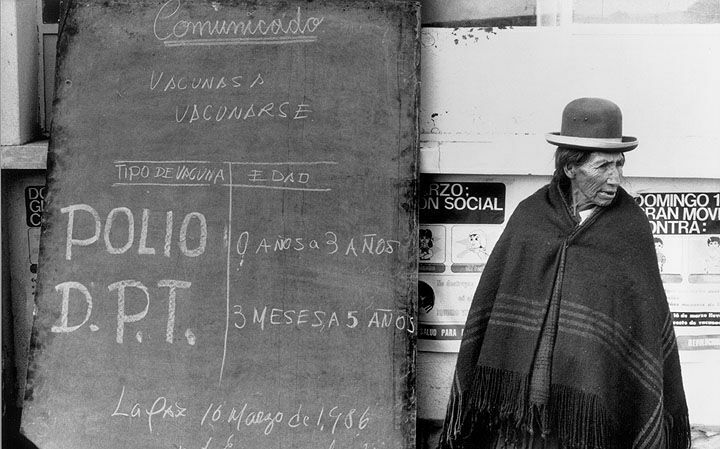 to the present.